There’s a new movement surging in the Identity Management space. It’s a complete re-imagination of core directory services such as Microsoft’s Active Directory and OpenLDAP. Actually, it’s not completely new. Some forward-thinking organizations have been using it for the last couple years to great effect. But it’s still a relatively new, unknown, and exciting segment of the IAM (Identity and Access Management) market. It’s called Directory-as-a-Service® and it’s a unified cloud directory. 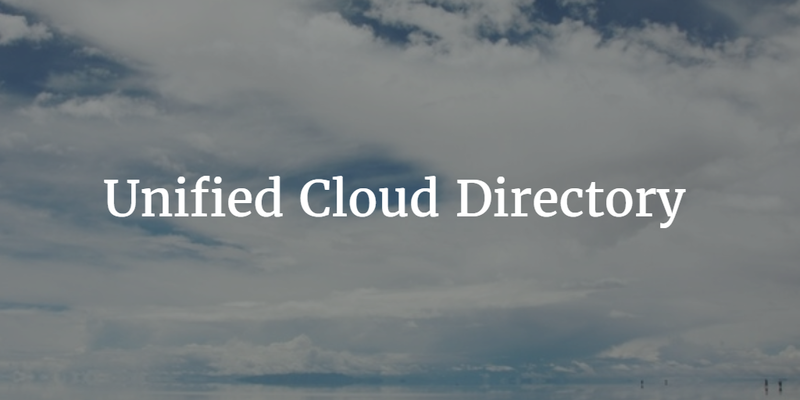 What is a Unified Cloud Directory? It’s moving directory services to the cloud and centralizing them. 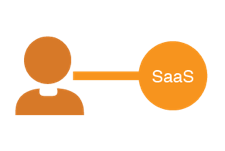 It’s taking mini-directories that have been hosted internally, along with Infrastructure-as-a-Service providers and SaaS applications, and more, and then unifying those all into one core virtual directory service. In order to truly unify IT resources, a cloud directory needs to be designed to work equally well with all major operating systems, including Windows, Linux, and Mac OS X devices. A unified cloud directory also must all speak a wide variety of protocols, including RADIUS, SAML, Kerberos, OAuth, TACACS, and more. Only then, can it truly grant an admin centralized control over everything they needs. For many years, the directory was located on-premises and was tied very closely to the most popular operating system, Microsoft Windows. Introduced in 1999, AD quickly became the workhorse in the industry. It’s was a Single Sign-On solution. It allowed for centralized user management as long as everybody was on Windows and connecting to Windows systems. It integrated tightly with the email platform of choice, Microsoft Exchange, at the time. If you were running Unix or Linux systems, you would likely have OpenLDAP instead. Either way, the directory was located on-prem, was managed internally, and tightly controlled. As the IT market to change in the mid-2000s, cracks in the legacy directory services foundation started to appear. Perhaps the first crack came with a shift to Macs and Linux devices. Apple’s resurgence under Steve Jobs led to a dramatic increase in Macs in companies. In the data center, a shift was occurring from expensive Windows Server to open source Linux. 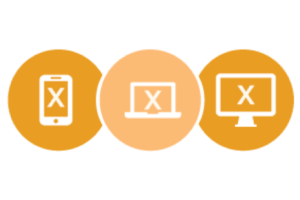 Unfortunately for IT admins, those devices became orphans to the internal directory. Perhaps the next wave of change came with AWS and Google Apps – cloud infrastructure. These platforms started the shift of core components within the enterprise moving to the cloud. Google Apps started to become the email and productivity platform or choice. AWS was cheaper than building your own data center. Cloud applications started to emerge and how IT controller user access to apps became a challenge. Of course, the IT landscape continues to evolve. Some other key changes in recent years include movement to WiFi networks and the increased importance of security. But one thing has become clear: the rigid, on-prem directory of the past can no longer cut it. The legacy Active Directory needed to be replaced. A unified cloud directory is required. 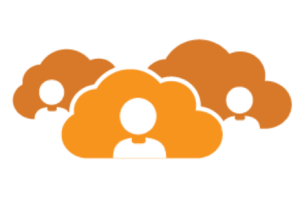 This next generation Identity-as-a-Service platform will take the place of AD and OpenLDAP. 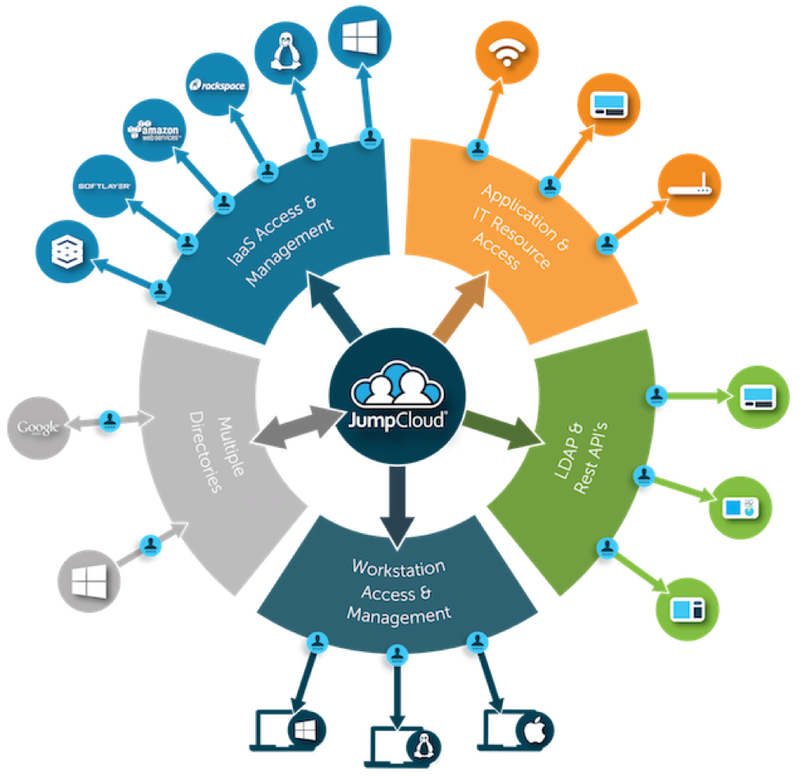 A central cloud-based directory service centralizes user management, connects users to cloud servers, integrates with Google Apps and Microsoft Office 365, has device management capabilities for all three major platforms, is a True Single Sign-On platform for a cloud applications, increases device security through multi-factor authentication, and controls access to WiFi networks via cloud RADIUS technology. If you would like to learn more about how a unified cloud directory can transform your organization and move you completely to the cloud, drop us a note. We’d be happy to walk you through our Directory-as-a-Service platform. Alternatively, feel free to leverage our free account – it’s free forever for 10 users.